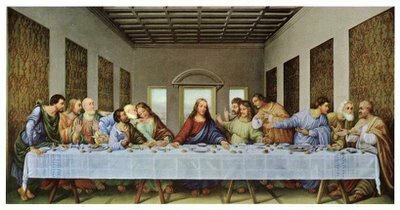 The story of the painting of The Last Supper is extremely interesting and instructive, and two incidents connected with it afford a most convincing lesson on the effects of right thinking or wrong thinking in the life of a boy or girl, or of a man or woman. 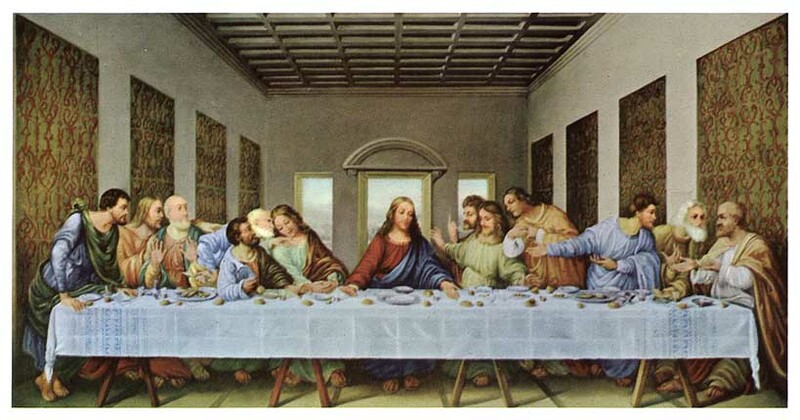 Leonardo Da Vinci, the noted Italian artist painted the Last Supper. It took seven years for him to complete it. The figures representing the twelve Apostles and Christ himself were painted from living persons. The life-model for the painting of the figure of Jesus was chosen first. When it was decided that Da Vinci would paint this great picture, hundreds and hundreds of young men were carefully viewed in an endeavor to find a face and personality exhibiting innocence and beauty, free from the scars and signs of dissipation caused by sin. Finally, after weeks of laborious search, a young man nineteen years of age was selected as a model for the portrayal of Christ. For six months Da Vinci worked on the production of this leading character of his famous painting. During the next six years Da Vinci continued his labors on this sublime work of art. One by one fitting persons were chosen to represent each of the eleven Apostles -- with space being left for the painting of the figure representing Judas Iscariot as the final task of this masterpiece. This was the Apostle, you remember, who betrayed his Lord for thirty pieces of silver. For weeks Da Vinci searched for a man with a hard, callous face, with a countenance marked by scars of avarice, deceit, hypocrisy, and crime. A face that would delineate a character who would betray his best friend. After many discouraging experiences in searching for the type of person required to represent Judas, word came to Da Vinci that a man whose appearance fully met his requirements had been found in a dungeon in Rome, sentenced to die for a life of crime and murder. Da Vinci made the trip to Rome at once, and this man was brought out from his imprisonment in the dungeon and led out into the light of the sun. There Da Vinci saw before him a dark, swarthy man his long shaggy and unkempt hair sprawled over his face, which betrayed a character of viciousness and complete ruin. At last the famous painter had found the person he wanted to represent the character of Judas in his painting. By special permission from the king, this prisoner was carried to Milan where the picture was being painted. For months he sat before Da Vinci at appointed hours each day as the gifted artist diligently continued his task of transmitting, to his painting, this base character representing the traitor and betrayer of our Savior. As he finished his last stroke, he turned to the guards and said, "I have finished. You may take the prisoner away". As the guards were leading their prisoner away, he suddenly broke loose from their control and rushed up to Da Vinci, crying as he did so, "Da Vinci, look at me. Do you not know who I am?" Da Vinci, with the trained eyes of a great character student, carefully scrutinized the man upon whose face he had constantly gazed for six months and replied, "No, I have never seen you in my life until you were brought before me out of the dungeon in Rome." Then, lifting his eyes toward heaven, the prisoner said, "Oh God, have I fallen so low?" Then turning his face to the painter he cried, "Leonardo Da Vinci, look at me again for I am the same man you painted just seven years ago as the figure of Christ." Is it true? Itz very bad if it is so. Btw, I couldnt identify Judas in the picture. Can you please give his position? • Bartholomew, James Minor and Andrew form a group of three. All are aghast, Andrew to the point of holding his hands up in a "stop!" gesture. • Judas, Peter and John form the next group of three. Judas, you will note, has his face in shadow and is clutching a small bag (of silver?). Peter is visibly angry and a feminine-looking John seems about to swoon. • Christ is the calm in the midst of the storm. • Thomas, James Major and Philip are next. Thomas is clearly agitated, James Major stunned and Philip seems to be seeking clarification. • Matthew, Thaddeus and Simon comprise the last group of three figures. It appears that, when a situation turns ugly, Simon is the "go to" guy for explanations. And something about DaVinci Code and the holy grail here. You can see the grail in the second picture which is the original painting and not in the second one which is a restored painting. And a correction to my earlier comment - You can see the grail in the second picture which is the original painting and not in the first one which is a restored painting at this URL. Ragavan, I have no proof to claim the truth in that story. As I said, its an email forward which I have posted here.